In past we have covered Re-Enable portable utility to re enable disabled functionality of Windows. 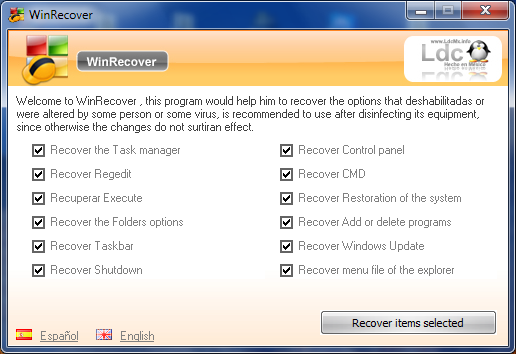 Now here is yet another similar utility WinRecover with more functionality than Re-Enable. Often when your PC gets infected with virus or spyware one or more windows functions like task manager, registry edit command prompt etc gets disabled by virues.